This lovely translucent resin bangle was made in the 1990s by the French design couple Migeon et Migeon (Christian & Marie Therese). 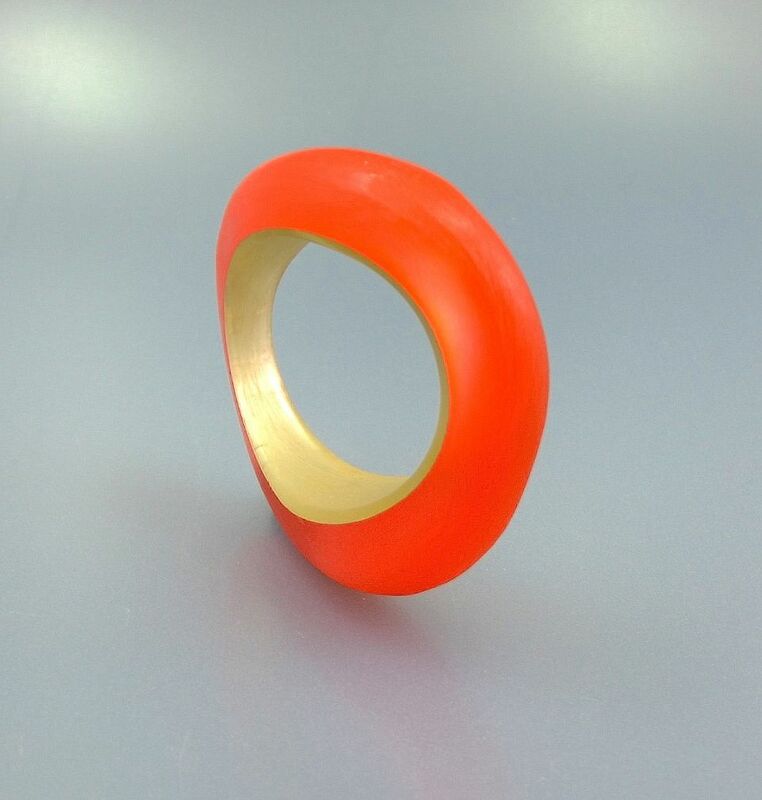 The bangle is irregularly shaped and of varying widths and has a lightly scarified top with with rounded edges. A very collectable and wearable item. Unsigned.